I have used this product consistently with all life stages of Arabian horses since 1992 or 1993 with excellent results. 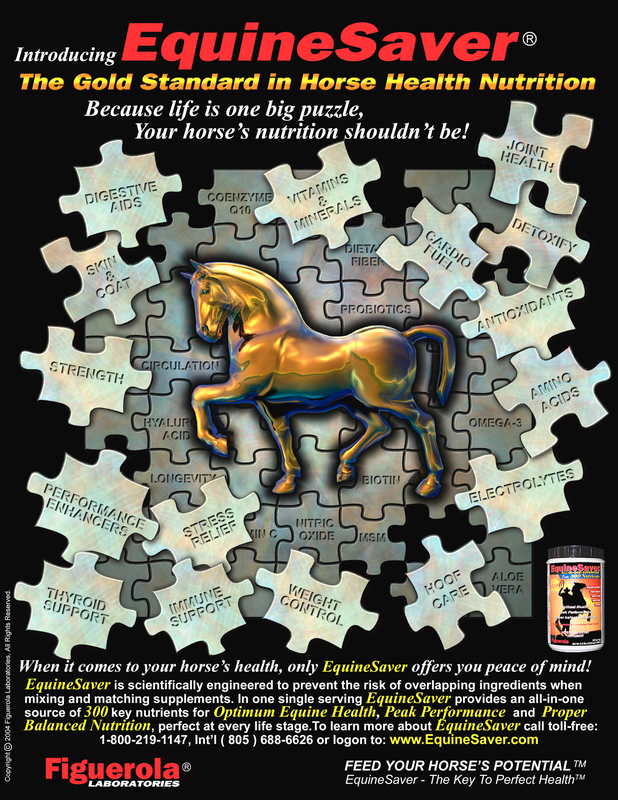 Even though my horses looked great prior to first using EquineSaver, there was an amazing improvement after adding this supplement to my feeding program and eliminating any other additives. The all-in-one product takes the guess work out of supplementation. The horses have lived long healthy lives, some well into their 30's. Virtually every vet and farrier who have worked on these horses have commented on their body condition, coat condition and hoof condition. As long as there are horses in my barn, they will be supplemented with EquineSaver! Love this product. Won't let my old guy go without it. It is one ilof t g e things that turned him around after a health challenge. He absolutely loves it. This product is amazing! I have two older horses, 23 and 25. Before this product, they were happy but lazy. Their coat wasn't as shiny as it used to be and their feet weren't amazing. After this product, both are running around the pasture like they're foals again! The farrier said their feet are some of the best he's seen. And their coats are as shiny as ever! Definitely a product to try with your horses! Works well with LaminaSaver if your horse has foundered. I have used many many equine supplements since 1992 for my 4 horses. Figuerola Equine Saver is my go-to. All their formulas are comprehensive and brilliant. Have used it for several years and on several horses; very good product. Kept my older horses in good condition and maintains the younger one in good overall health. I have been feeding equine saver to my event horse for several months now. I think it's a great product that has so many benifits for all types of horses at all ages, the nutrients improve every aspect of the horses health! I have a 32 yr old Qtr Horse Mare that was showing signs of Cushings and has arthritis. She was getting very frail. I started her on Equine Saver and after about a week she is a totally new horse. She acts like she's 20 again. I also started my 21 yr old TB mare on Equine Saver and noticed a big difference in her. She doesn't show any signs of her arthritis in her hocks anymore. Both horses are very healthy and active again. I give a scoop to each of my horses every day. They have shiny coats, and long healthy tails and manes. Their feet are in excellent condition with no cracks or broken edges. I can only imagine the great things that are happening on their insides where I can't see! We started my daughters large warmblood mare on this product in August. What a change in such a short time! She glows!! Her coat is gorgeous and looks like she has just had show sheen put on, even without a bath. Her muscles are becoming more elastic, her hooves stronger and her demeanor calmer. We bring in a clinician regularly, but she wasn't able to come over the summer. When she arrived last week, she noticed the huge difference in her body condition. Thank you for a great product!